The private dining room at The Balcon offers the perfect setting for a business or private party. Ideally positioned and flooded with natural daylight, it is separated by silk curtains, offering a very exclusive and intimate area, whilst giving the opportunity to enjoy the atmosphere of the French brasserie. 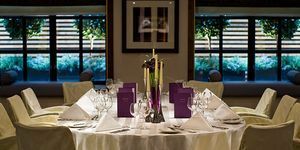 Open all year round for lunch and dinner, the private dining room can accommodate up to 20 guests. 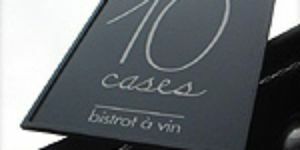 It is also available for a breakfast meeting, an afternoon tea with friends or to celebrate a special occasion. The Westminster Suite is our largest event space, seating up to 180 delegates theatre style and can conveniently be divided into two rooms. 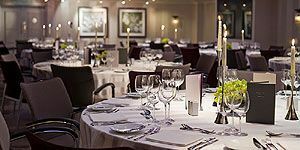 With its flexible layout, optional rear projectors, synchronized screens and foyer area, it is the perfect space to host conferences, presentations, cocktail receptions and gala dinners. The Westminster Syndicate Room is a versatile ante room connected to the Westminster Suite that can be used as office space, registration area, small meeting space or to film interviews. 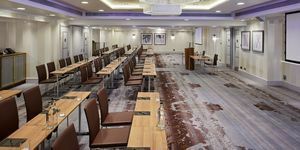 The Mayfair Suite is one of our largest event spaces, seating up to 160 delegates theatre style and which can conveniently be divided into two symmetrical rooms. 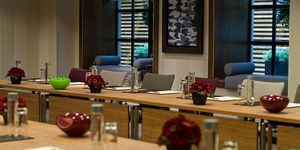 With its flexible layout, two projector screens, and direct access to the foyer area, it is the perfect space to host conferences, presentations, cocktail receptions and gala dinners. The foyer is ideal for registrations, and pre or post drink receptions. Smaller syndicate rooms are in close proximity. 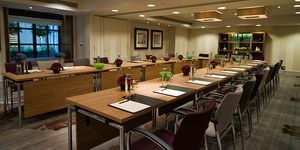 The Piccadilly Suite is a stylish meeting space designed in natural colour schemes and with all modern needs built in. Services include in-room air conditioning and lighting controls, as well as a built-in projector and screen. The room connects to a foyer area, which can be used for registration purposes, meeting breaks or drink reception. The Kensington is a spacious room, with a neutral light feel and natural daylight. 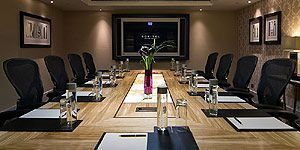 The room offers flexible setup and can therefore be used for many purposes, including break-out sessions, private lunches, dinners and coffee breaks. 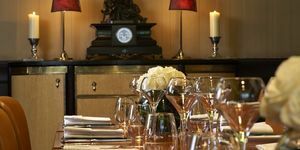 The Belgravia Suite is a very exclusive suite with a warm and refined décor, which comes with a beautiful boardroom table that can welcome up to 12 guests. 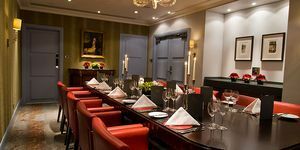 The Chelsea Suite is an exclusive and stylish boardroom suitable for up to 8 guests. The room offers air conditioning, a built-in plasma screen and in-room controls for lighting settings. 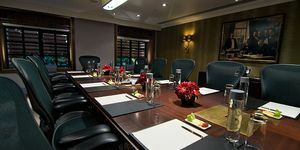 The Bloomsbury Suite is a stylish meeting space designed in natural colour schemes and with all modern needs built in. Services include in-room air conditioning and lighting controls, as well as a built-in projector and screen. This meeting room has natural daylight via two large windows. The Private Dining Room is an elegant private space on the ground floor, ideal for an exclusive breakfast or private lunches and dinners. 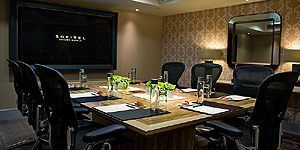 The Boardroom is a spacious room which can accommodate comfortably up to 12 guests in a stylish contemporary design. The space located on the ground floor offers natural daylight. The room offers air conditioning, a built-in plasma screen, video conferencing and inroom controls for lighting settings.